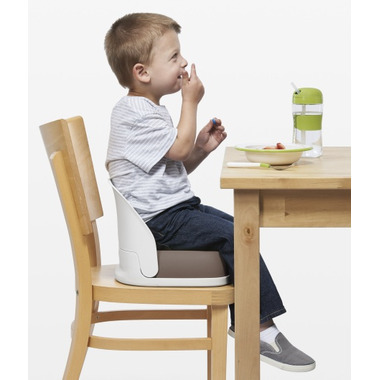 This OXO Tot Perch Booster Seat helps little ones 15 months+ reach the table. Backrest supports tots, and 3-point harness keeps them safe. 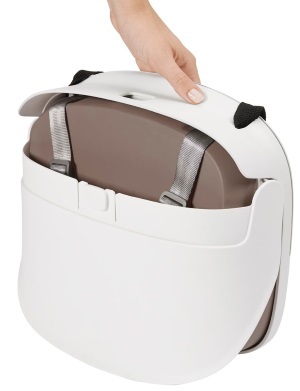 Booster folds with the push of a button and straps are removable when your tot becomes a big kid (3+, up to 70 lbs). 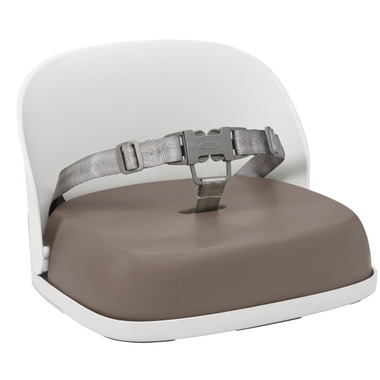 Cushion lifts out and is easy to wipe clean. The minimum strap length is approx. 16 inches and the maximum length is approx. 25 inches. Sorry, this item does not qualify for free samples!